Well, the girls and I sat down tonight and finished up the house we started yesterday. We added candies to it. We added all the life savers going around to make a fence, and lots of others, like a life-saver chimney and jaw breakers and gum balls, skittles, peanut butter M & Ms, etc... I think the girls had lots of fun. 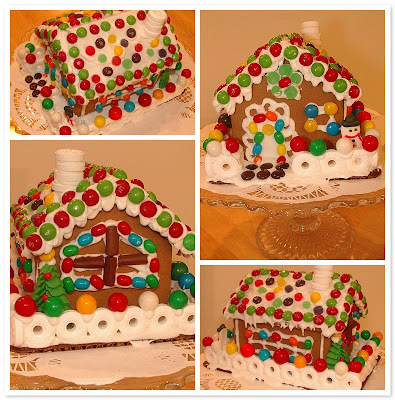 You girls did a wonderful job on your gingerbread house - it looks good enough to eat! We hope you have a great Christmas. We love and miss you.